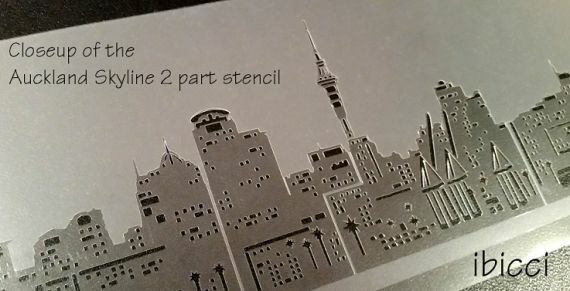 This 2 part stencil was hand drawn and designed by Kat for Aimee Parker - AmazingCakesbyAimee based in Papakura, New Zealand. I LOVED this cake - my son was a big TMNT fan back when! Design Size : 120mm x 376mm - 4.74" x 14.79" - Single design, 2 layers and rolled and boxed for shipping. Please note the price reflects the amount of work in 'weeding' this stencil - all those tiny little windows and special packaging as it's longer than an A4 size! Ideal for airbrushing or stencilling the base, then placing and stencilling the second layer to get the lights effect.